Velodyne recently introduced the new Digital Servo-10 (DS-10) subwoofer. At the heart of the DS-10 is a cabinet with a furniture grade satin black finish; a 19.3 lb. magnet structure; a die-cast aluminum basket; a 1250 watt RMS (3000 watts Dynamic Power), 97% efficient, patented ERS Class-D amplifier; a Kevlar-reinforced cone; a proprietary 3" dual tandem multi-layer voice coil; and Velodyne's patented Digital High Gain Servo system that reportedly corrects cone movement almost 16,000 times a second to lower distortion to well below audible levels (less than 1%); all tuned, and all controlled by a high speed DSP processor. • Read more subwoofer news from Home Theater Review. • Explore reviews in our Subwoofer Review section. 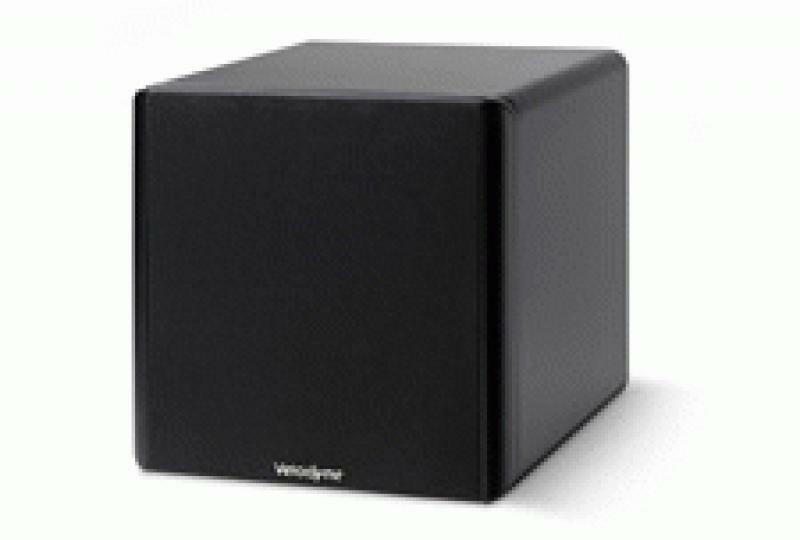 The Digital Servo-10 subwoofer features Velodyne's Digital Drive room management technology in an attempt to overcome anomalies in typical subwoofer frequency response due to a room's shape, size and features. Just place the included microphone at the desired listening position and press the EQ button on the remote control and the Digital Servo-10 sub will correct for bass interactions caused by its position using its eight bands of EQ. Additionally, Velodyne's Digital Servo-10 subwoofer can be used in the manual mode using Velodyne's Digital Drive room management technology. This allows the subwoofer's in-room frequency response to be measured using a calibrated microphone and viewed graphically on any standard TV. The on-board 8-band digital graphic/parametric equalizer can be used to optimize the subwoofer's performance. The Digital Servo-10 also offers control over filter frequencies (both subsonic and low pass crossover), slopes, phase and polarity. The DS-10 is remote controlled and comes with factory presets for different music sources and movies. Presets can be changed to accommodate music, movies or games; switch to the neighbor-friendly "Night" mode; adjust the crossover; or simply change the volume and the front panel LED read-out responds to verify your action.